What happens when you cross your favorite kid lit title with a little food creativity? You get some really rocking cakes. Here’s a look at fifteen impressive cakes inspired by children’s and young adult books. Who wouldn’t love this simple — yet gorgeous — The Little Prince cake? This one was made by HaveSomeSugar. If you prefer your kid lit and your cakes a little creepier, then Cake Rhapsody‘s Goosebumps cake should be right up your alley. The level of detail packed into this scary cake is impressive. Thomas Rockwell’s classic How to Eat Fried Worms was rendered in cake by Poncakery artist Monica Burgos. This cake looks surprisingly appetizing, considering the worms. Cake artist Debbie Brown created this sweet Paddington Bear cake. 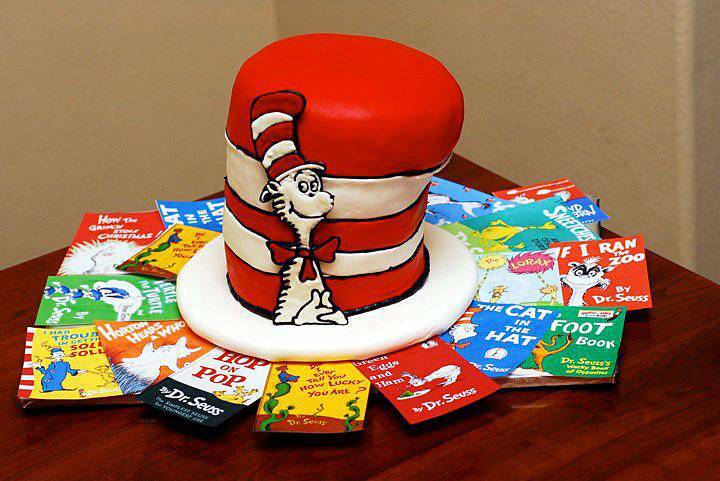 Kimberly Barber Davis made this fun Dr. Seuss inspired cake featuring not just The Cat in the Hat but also tons of other classics for her classroom Seuss birthday celebration. Sometimes, the more simple the cake, the more pow it packs. This Harry Potter cake by Melissa at Lil’ Miss Cakes perfectly captures the essence of the book in just a few iconic elements. Speaking of simple, this Harold and the Purple Crayon cake is perfect because it’s done only in white and purple, aside from little Harold at the top. This one was created by Rick at Cakelava. 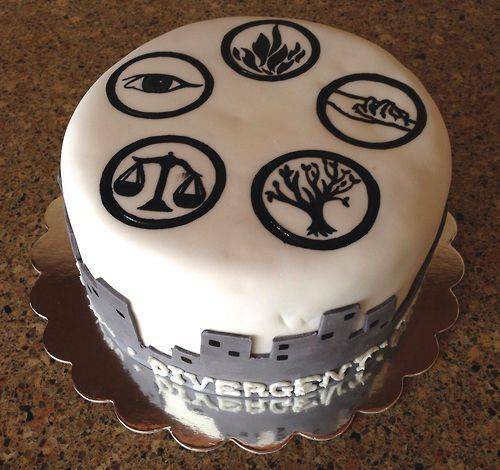 To celebrate the theatrical release of Veronica Roth’s Divergent, Meredith made this fun cake, featuring the five factions on top and the Chicago skyline along the bottom. Of course, it wouldn’t be a roundup of kid lit cakes without an appearance of Eric Carle’s The Very Hungry Caterpillar. This fun, colorful cake, made by the mother-daughter team at Happily Ever After cakes, doesn’t miss anything with all of the caterpillar-eaten foods: This cake captures the spirit of Carle’s story perfectly. Lydia of Party Wagon Moms made this elegant and sophisticated Madeline cake for her daughter’s birthday. 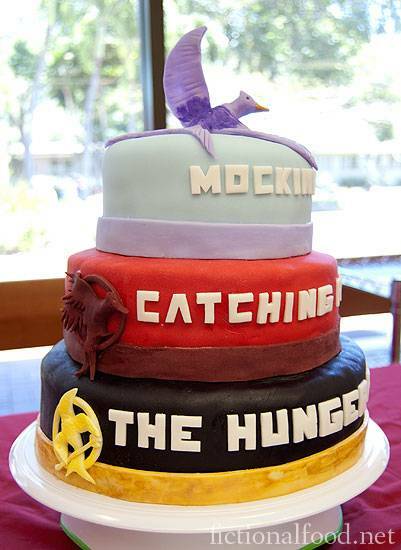 Crystal made this gorgeous Hunger Games trilogy inspired cake for the edible books festival held at the University of Hawaii. 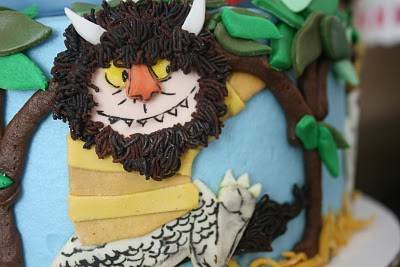 Kate let the wild rumpus start indeed with this Maurice Sendak Where the Wild Things Are cake. This is another cake that is incredible down to the tiniest details: The hair and the toe nails are so great. Cake central contributor kpresber created this Nancy Drew cake for a 16th birthday party. Check out the working flashlight. Marita created this fun Little House on the Prairie cake and perhaps the best part about this is how rustic it is. The wafer cracker roof is such a nice detail. 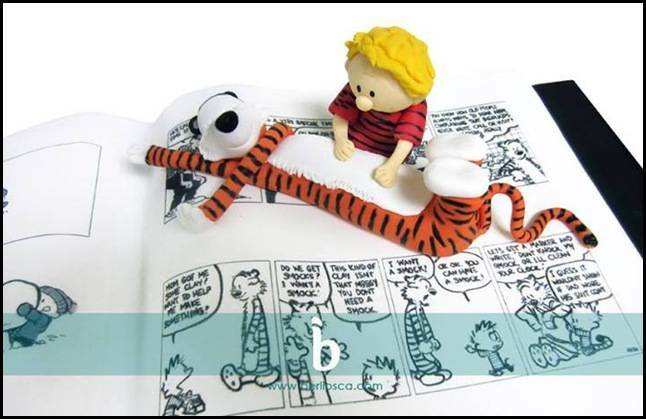 It would have been easy to round up 15 Calvin and Hobbes cakes, too, but Chris of Berliosca Cakes made the one that really knocks it out of the park since it includes the comic panels along with a Calvin and a Hobbes.